"Do you think the games against the likes of PSG and Liverpool will be decisive in your chances of getting the job (permanently)?" 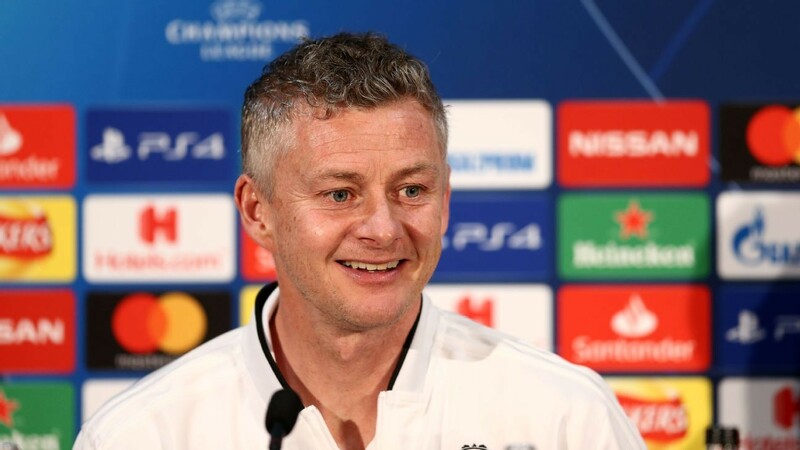 Solskjaer was asked at his prematch press conference ahead of Tuesday's Champions League round-of-16 first leg against the French champions. Statistically, his record of 10 wins in 11 games since succeeding Jose Mourinho in December - "The players are still disappointed with the two points we dropped (vs. Burnley) and so am I" -- is the kind of form that would automatically make him a strong contender for the permanent job. Solskjaer, by contrast, knows which buttons to press and it was like watching Ferguson at times during his news conference. Where Mourinho would be brusque and dismissive, rarely talking up United's European history, Solskjaer was quick to recall the big nights at Old Trafford that he is determined to witness again against PSG. "It has been a while (since a big European night here)," he said. "Maybe if you look back, maybe one of the last few exciting knockout games was Real Madrid (2013), when Nani was sent off. We had Bayern Munich a few years ago (2014) so we're looking forward to this; the supporters and the players have been looking forward to it, they're special nights." But while there Solskjaer can seem romantic as he makes nostalgic recollections to life in the "good old days" under Ferguson, he also has a tough streak and it is that, rather than the nice guy persona, which he might ultimately need to show if he is to become United's next manager.